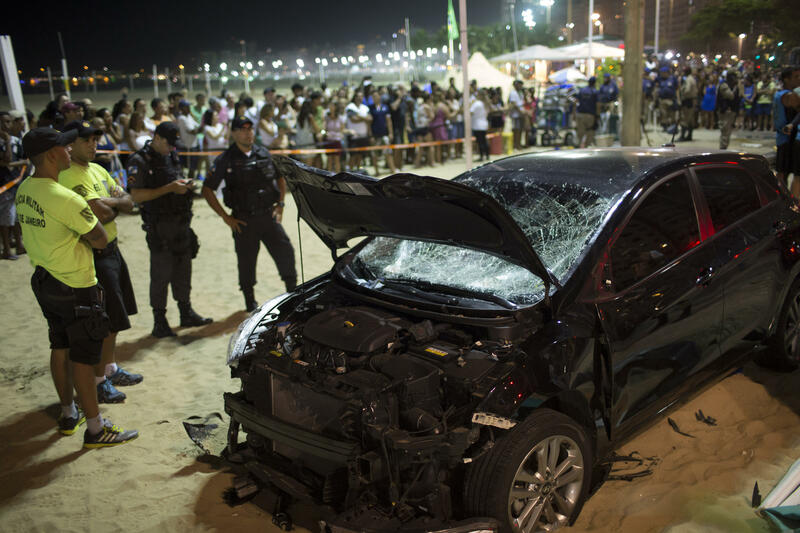 RIO DE JANEIRO -- Brazilian authorities say a baby was killed and 17 people were injured when a motorist drove into a crowded boardwalk along Copacabana beach. Rio de Janeiro's municipal health department confirmed Friday that an Australian was among those injured in the Thursday night incident and that the 68-year-old is breathing with the help of a respirator. Eight others remain hospitalized, many with broken bones. The state health department confirmed the death of a baby girl. The famous Brazilian boardwalk was crowded on a hot summer night when the car jumped the curb. Police have said it was not a terrorist attack and have arrested the driver. The driver told police he had not been drinking but lost control of his car. He also said that he has epilepsy.